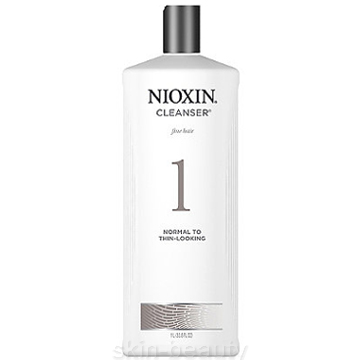 Nioxin System 1 Cleanser is for fine, normal to thin looking hair. It cleanses scalp and hair using concentrated blend of botanicals and humectants. Advanced NIOXIN technology removes DHT from the scalp skin to optimize the environment for healthy hair. Helps to reduce excessive daily hair loss.